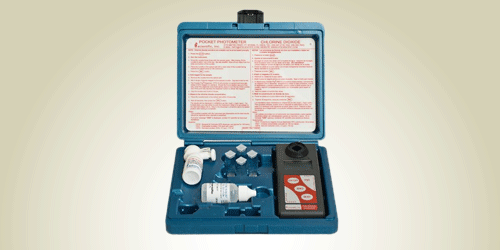 Chlorine Dioxide Pocket Photometer - Orlab Instruments Pvt. Ltd. Laboratory Accuracy in the Field: Microprocessor technology together with rugged construction ensures accuracy and durability in the roughest environments. Integrated Packaging: Self-contained packaging provides easy access to everything needed to conduct a test. Auto Shut Off: Water proof housing allows sample measuring and cleaning in any wet environment. EPA Approved Method: Meets Standard Method for the Examination of Water and Wastewater, 20th ed. 4500-Cl02 D. DPD Colorimetric Method.